This week we are exploring the environment! With young children, we often focus on the environment around Earth Day but then forget all about it. 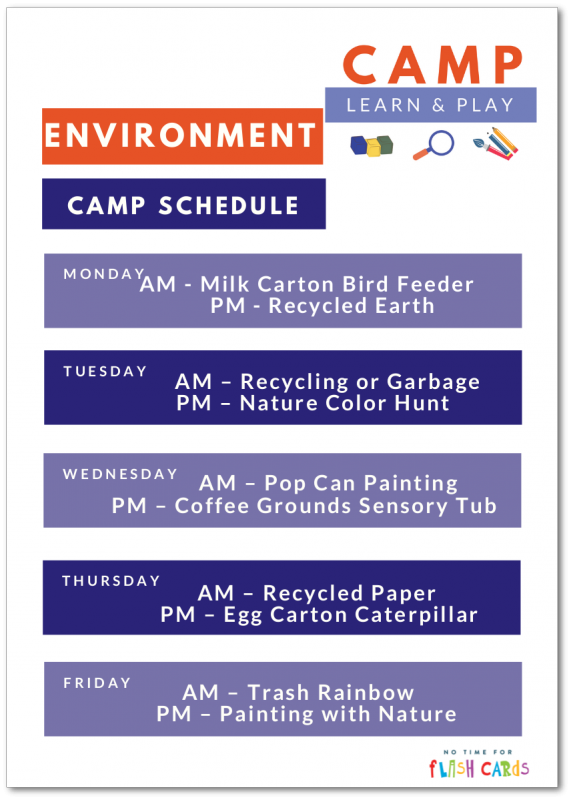 This week at Camp Learn & Play your children will learn more about the world around them, nature and of course about recycling. 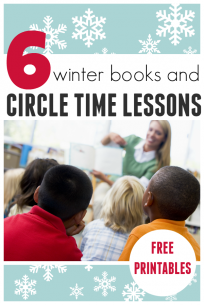 Learning about the environment has never been so fun! If you are brand new to Camp Learn & Play you can jump in on this week”™s activities or start wherever works for you, this is all go at your own pace. I suggest two simple activities a day, but it”™s up to you. 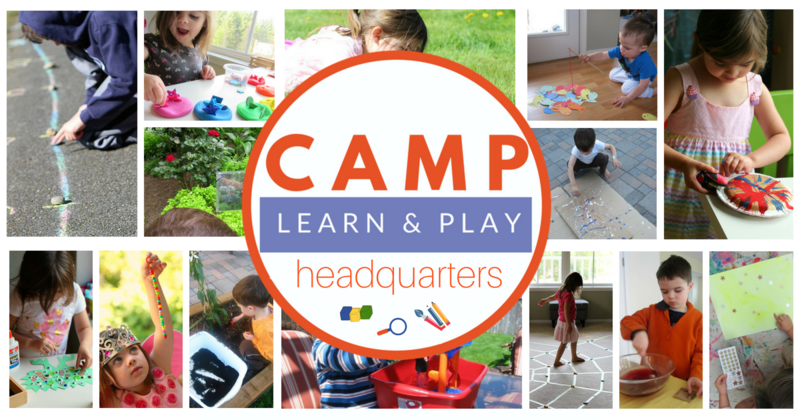 See all fifteen themes Camp Learn & Play’s HQ! or sign up for our email list and get reminders and more sent straight to your inbox every week. 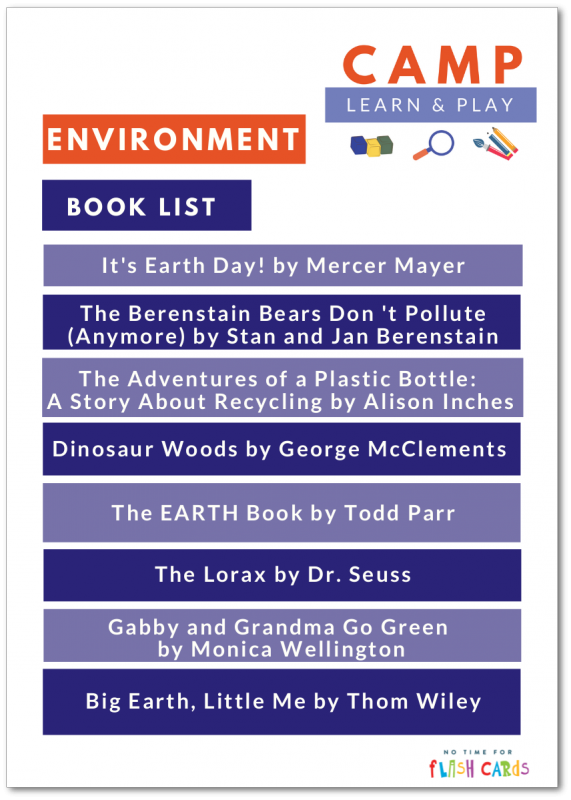 Book list for Little Environmentalists ”“ print this out here. 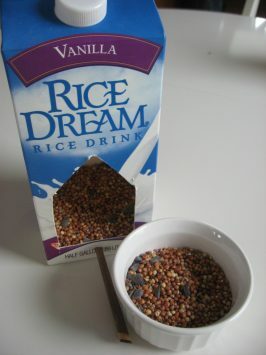 AM: Milk Carton Bird Feeder – not only do you use recycled materials to make this, you can observe the wild birds that come to eat the bird seed. Make a simple tracking sheet and record how many you see all week long. 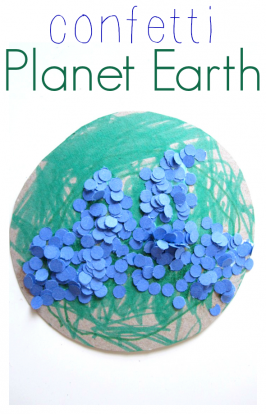 PM: Recycled Earth – if you don’t have a hole punch, try ripping the scrap paper instead. The point of this craft is to work on hand strength and use up scrap paper. If you don’t have any scrap paper color some junk mail instead! AM: Recycling or Garbage? 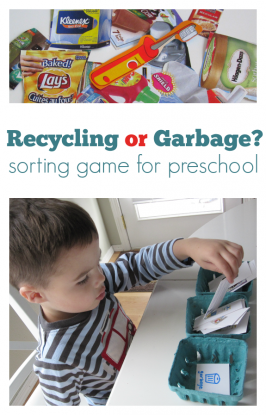 This is a simple game that helps you teach your child all about sorting garbage and recycling. Adjust the game to fit your local recycling rules and don’t forget to have fun. 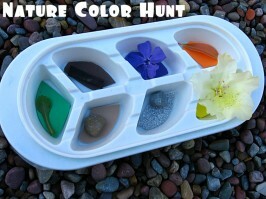 PM: Nature Color Hunt – find a whole rainbow of colors while exploring nature. This is the perfect relaxed summer activity. 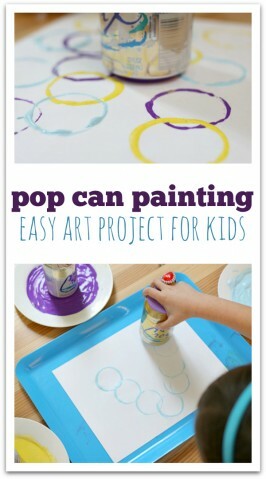 AM: Pop Can Painting. Or Soda Can if you grew up saying soda instead of pop! The point here is to think outside the box and use our recycling as tools for making something beautiful! 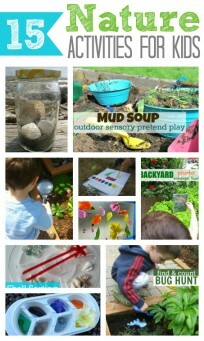 PM: Coffee Grounds Sensory Tub – if you aren’t a coffee drinker we can’t be friends, but you can still do this activity. Pop over to Starbucks, they give their old grounds away. 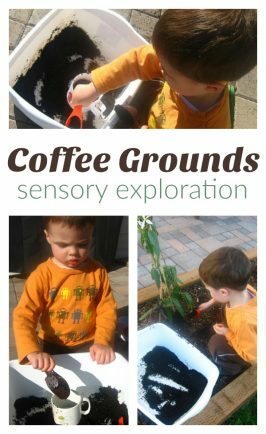 This sensory tub is really amazing because it uses so many different senses and when you are done you can use the grounds to feed your garden. 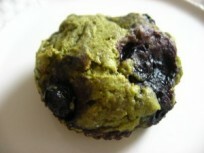 AM: Use up your scrap paper to make Recycled Paper. 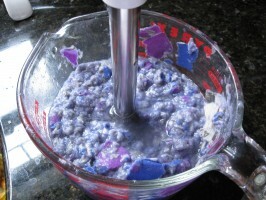 Kids love doing this, and it’s a wonderful introduction to paper making. 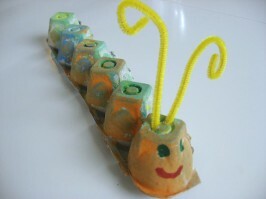 PM: Egg Carton Caterpillar, I can’t think of a more classic kid craft than this, and it’s a must do! The fact that it uses recycled materials is a great reminder to use what you have on hand to minimize waste. AM: Trash Rainbow. 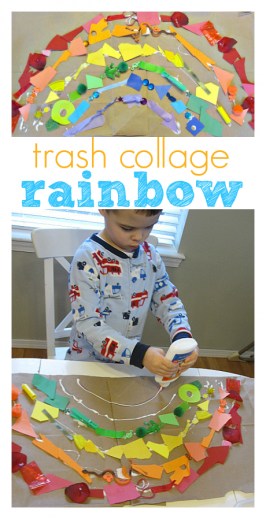 Learn about colors, rainbows, and re-using items with this super fun activity that will have your kids hunting through every room of your house to fill this rainbow. Psst you can also try an outdoor version! 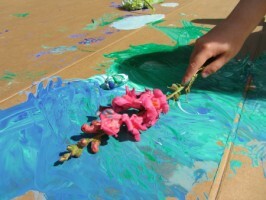 PM: Painting with Nature is a great way to get kids examining their world outside of the four walls of their home. Nature is not only beautiful, but it can also be used to make something beautiful. 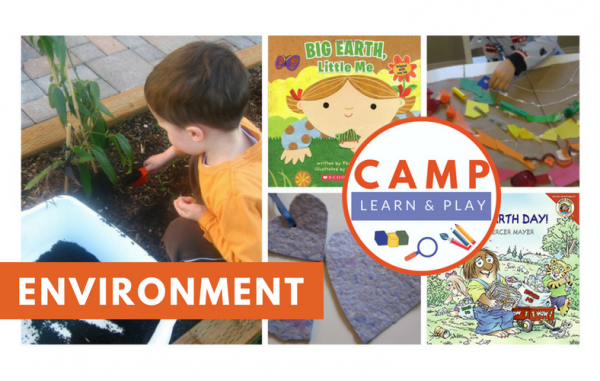 See all fifteen themes, weeks at a glance, and get the printable book lists before each week begins here at Camp Learn & Play’s HQ!